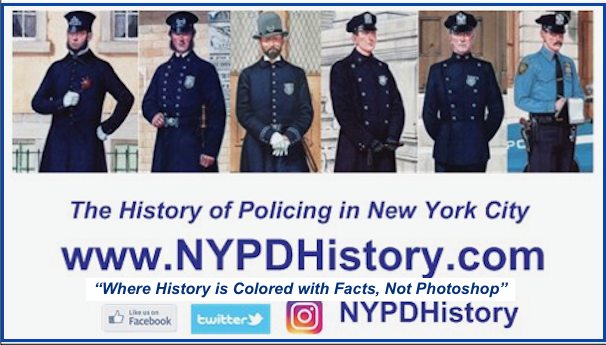 It is always a pleasure receive inquiries from individuals who share the author’s passion for the history of policing in New York City. Most inquiries deal with collectibles (shields, medals, ephemera, uniforms, equipment, etc.) which are easily identified. In this case, the inquiry has resulted in identifying a piece of history. 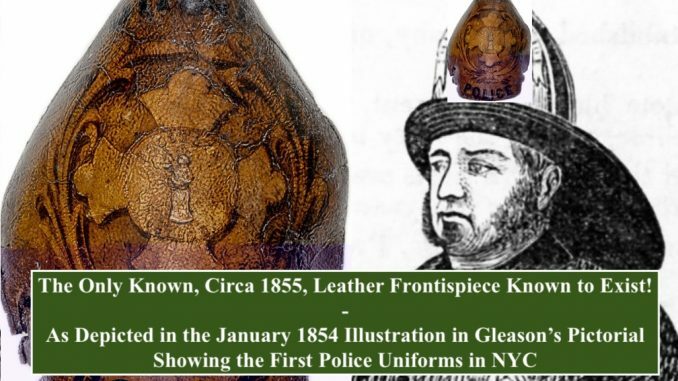 A collector, and student of the history of policing, inquired about a piece of leather. Both the author and the individual believed that they knew what it was, making a prima fascia case for its provenance took only hours. 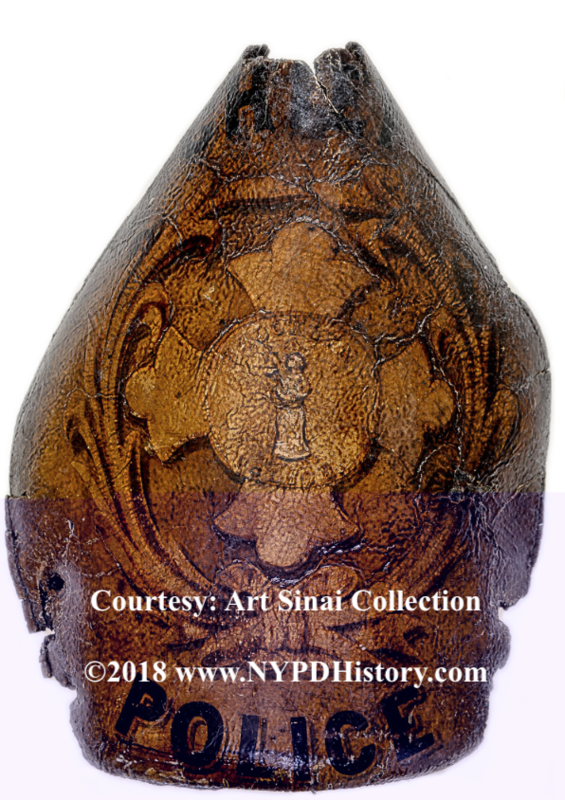 The result of the collaborative research is that the piece has been identified as one of the oldest known artifacts of uniforms worn by those who policed New York City. 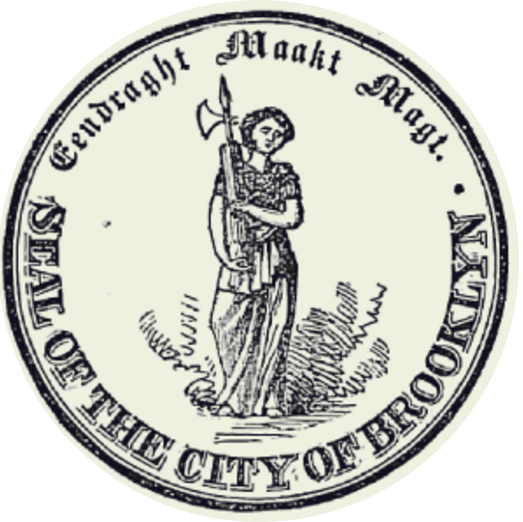 The leather frontispiece, is of the style that is depicted in the famous illustration published in Gleason’s Pictorial, on January 7, 1854. 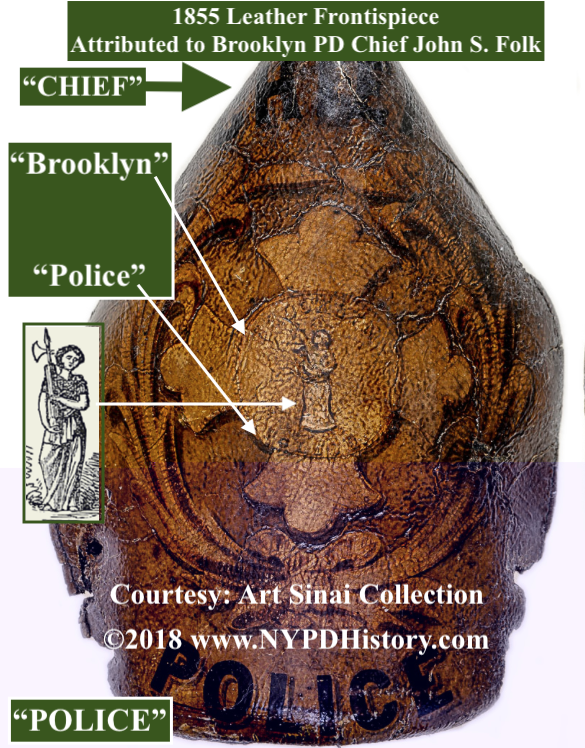 This historic artifact can now be attributed to the first Chief of Police of the City of Brooklyn, John S. Folk. A clear line between the frontispiece and those depicted in Gleason’s Pictorial, below, and the artifact can now be drawn. 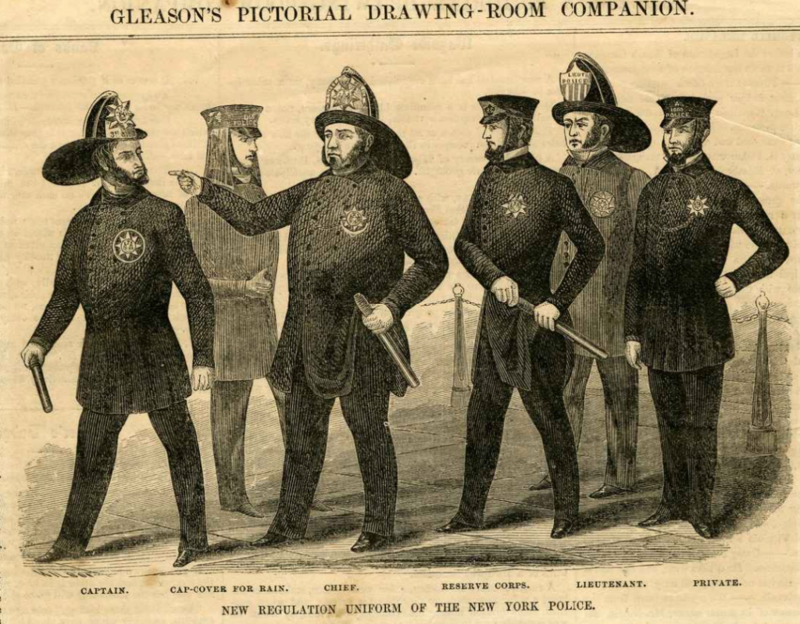 Above: An excerpt from the illustration in Gleason’s Pictorial depicting the leather frontispiece that was worn by the Chief of Police of New York City’s Force. 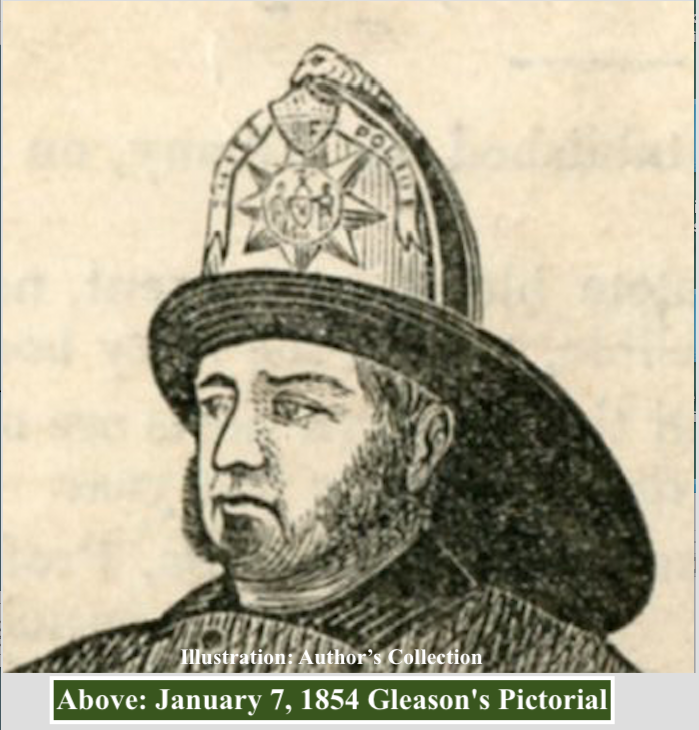 Above: From Gleason’s pictorial describing the fireman-style helmets worn at night. 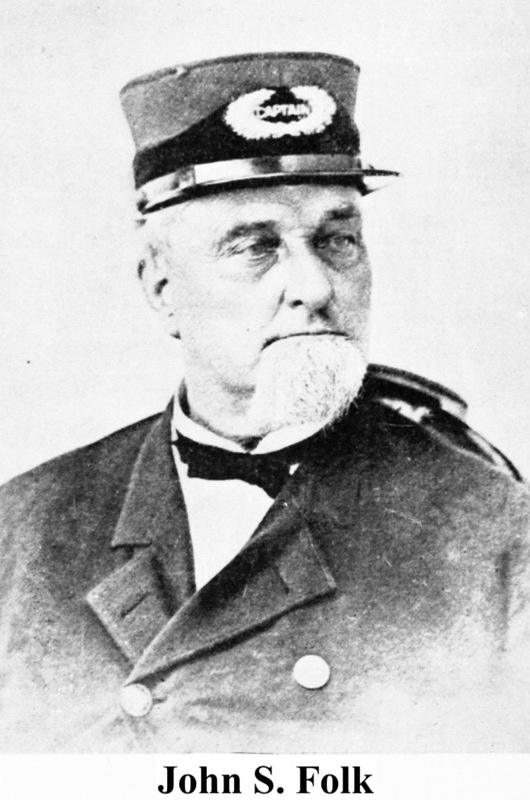 Above: From Gleason’s Pictorial predicting that the uniform styles would be adopted by other cities. 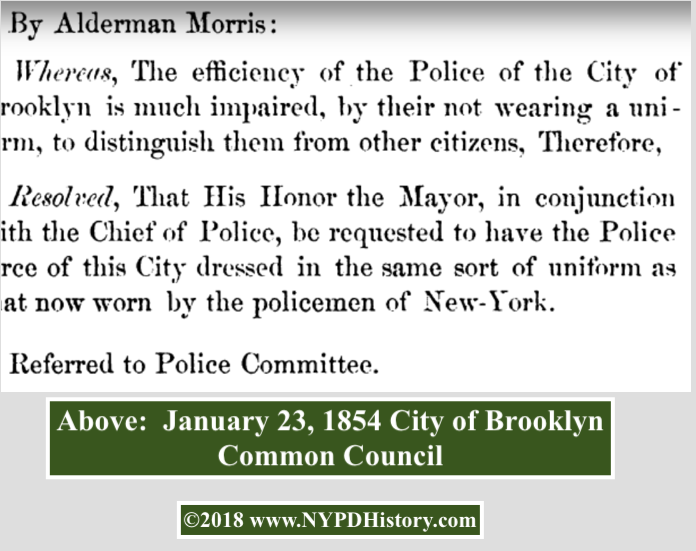 Above: A Resolution by the Brooklyn City Council, sixteen days after the publication of Gleason’s Pictorial, to adopt the “same sort” of police uniform as in New York City. The above leather frontispiece, is the oldest known artifact of its type from the period known to exist. 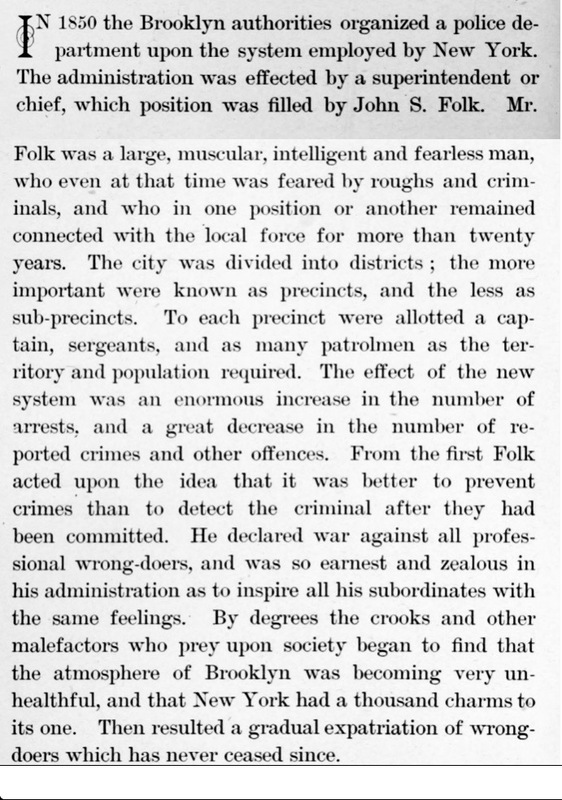 Below: The first Chief of Police of the City of Brooklyn, a brief history of the Brooklyn PD, and a detailed analysis of the frontispiece. Note: If any individual has additional, or conflicting information to that presented in this post, the Author welcomes the same and, if necessary will edit & amend this article.